You are now independent and do things on your own. This app lets you find details about your new environment. Thus, locating the nearest bank, gas station, movie houses, supermarket, taxi, hospital, and lots of other establishments is a finger tapping affair. Friends and strangers are no longer needed for directions. With this application, you are no longer at a loss for words. This app for iPhones and iPads has several helpful features such as voice search that allows you to find words without spelling it. It is an amazing tool for vocabulary building, educational references, and a weapon for personal development. You do not need to make frequent library visits to take a look at new words uttered by your professor or worry about not having a dictionary beside you. Procrastination is a big no in college. You should complete assignments, projects, and other educational tasks on time or in advance so that you won’t suffer from cramming and low grades at that. This app for iPhone and Mac helps students organise different activities according to priority levels. The app alerts college students to categorise the tasks in order to manage them well. The problem with storing your notes and files with a real USB is that often, this thing gets lost. With this application, users can store, manage, and view documents through their iOS gadgets. It is a simple app loaded with powerful features such as viewer and intuitive interface. Just drag and drop your compositions and documents in iTunes and transfer it to your iPad or iPhone so you can view stored files anywhere and anytime. If you are desperately searching for places where you can connect online, this app is your magic wand. It tracks down paid and free Wi-Fi. The app is simply amazing as it can detect over half a million hot spots covering 144 countries around the planet. Research and homework is no longer a problem when student is on the go always. Time is crucial when you are in college, thus, this app is very helpful if you want a portable scanner. It can convert images captured through your iOS gadget in superior quality PDF scans or JPG files. It records whiteboard presentation and common types of documents and share the files via electronic mail or with an SD card. It’s a great app for research. No more memory gaps for you and wondering about the meaning of words you took down in your notebook or journal. This app lets you record the whole lecture and at the same time attach notes so you can easily find needed ideas by simply tapping on the note when reviewing later. The app will lead you to the recorded portion where the note belongs. There is no need to contact your classmates or friends and ask for ideas about the notes you jotted down. Yes, this social network helps college students. It becomes advantageous when you follow a profile related to certain subjects such as authors, books, fellow classmates, professors, and others whom you can ask for information about specific subjects. This way, you get updated on discussions, ideas, and even ask help for your assignments and projects. It is your library inside an iPad or iPhone. With it, you can download, arrange, and read books. It is as simple as tapping a book to open, swipe to flip through pages, and add annotations to your favourite quotations and passages. With iBook store, one can download the latest bestsellers and other helpful books. Thus, there is no need for you to check offline bookstores to find the books you like. Math for some is a dreaded subject, but with this application, algebra and other lessons involving calculations become an easy task. It is loaded with features which college students will really appreciate such as scientific calculator with arithmetic, exponent, factorial, absolute value, combinations, permutations, random integer, normal distribution and other statistical tools; graphing capability that allow students to create parametric equations, find intersections and roots, plot coordinates, and other graph functions; conversion calculator that helps convert metric to English measurements and vice versa or to quantify areas, depth, width, capacity, distance, and so and so forth . Money is tight if you are in college and all the more for you to keep track of your budget and expenses. This app lets you monitor and manage your money in one sitting wherever you are. It can help you open an account or enroll an existing bank account, credit card, or even a retirement account. It auto-categorises your financial transactions, arrange them into graphs for better understanding where your money went and identify sources of cash as well. It also sends alerts if you are overspending and reminds you of outstanding or overdue accounts. Digital writing is made easier with this application. Taking down notes becomes easier as the apps are loaded with amazing features such as wrist protection to avoid writing smudges, pen strokes to make handwriting look better, zoom in button to help you search your notes, and then synchronise the information with Evernote. Thus, you do away with papers and have your notes saved on your iPad or iPhone to view them later. Whoever says that college life is really difficult in these times? With these iPad and iPhone apps, students can indeed experience a successful college life. Devices like an iPad or iPhone are not exempted from the usual security issues and threats such as online malware and viruses. It is futile to assume that these gadgets cannot experience security problems even in the near or distant future. Regardless of the type of files including audio, video, texts, documents, electronic mails, and more, you can never be sure that you won’t encounter security threats from files you download or store in your gadget. But with the right investment in terms of paid security applications for iPad and iPhone, you can be confident that each time you use these products, it will be protected from hackers for as long as such applications are always enabled. Children nowadays are very familiar with the latest in technology, especially if you personally provide them with their own iPad or iPhone and allow them to use such gadgets on their own. Such liberty exposes them to the threat of surfing on websites with illegal content. This paid application costing less than $20.00 is created to help kids navigate the web safely and avoid inappropriate web content. In addition, it provides a report on blocked web addresses and modifies settings on sites with inappropriate or malicious content. This is not an application intended to be installed for an iPad or iPhone but rather on a Macintosh computer. 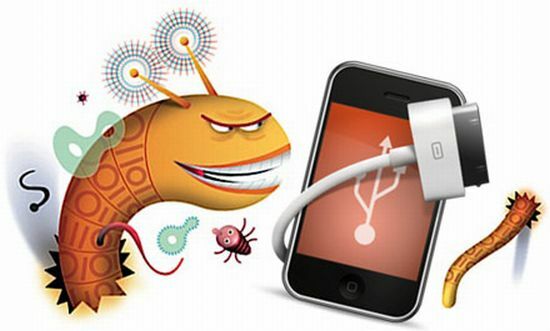 You can attach your gadget for a 24/7 protection from viruses, Trojan horses, malware and other security threats. It automatically scans the attached device and has a two-fold firewall as well as an anti-vandal shield to block attacks. 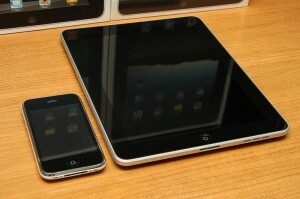 With this application, you have a spectacular choice to scan iPad and iPhone for security measures regularly. This product costs less than $10.00. By using it, your vital information are securely locked and stored. 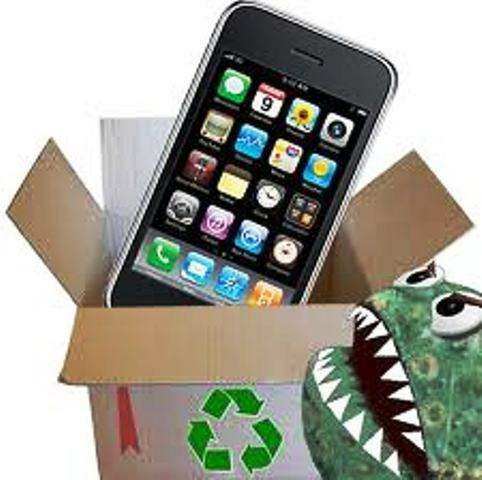 Some of the interesting features of this application are as follows: it is compatible both for iPhone and iPad, requires only iOS version 3 or lower, includes file attachment protection, history search and record button for duplication, latest mode to unlock option, and allow viewing on landscape mode. If you want automatic password inputting for all online addresses you visit in a very secured manner, then this is the right application for you. This is helpful if you want to avoid using just one password for all sites you frequently visit because it will help you keep track of numerous passwords. At a price that is no more than $15.00, you have an app that is compatible for both iPhone and iPad. Your online browsing will never be compromised by virtue of password repetition. Forgetting your password will never be a problem too with this application. Be sure to back up data through your iTunes account though. Many of us are hoarding documents and the problem is that most often; data stored in our gadgets contain sensitive information such as usernames, password, tax numbers, bank account numbers, credit card information, and even private files. Thus, one needs a password management application that functions more than helping you manage your entry points. Two fold protection, thereby, allowing you to create a stronger password. If your password ends up being hacked, it has a self destruct mechanism after three unsuccessful attempts when logging in to your account. It is both a download manager and a personal media player. It has the capability to secure any kind of data from business files to pictures and videos in your iPhone. It helps create multiple accounts with PIN protect password and even decoy ones. It can also set up hidden accounts which can only be revealed to the owner after performing a special hand movement. Using the Boss button, you can hide your activity to avoid other people from observing and taking mental image of your gesture movement. If you need to secure sensitive and very delicate information without using various hiding configuration on your iPad and iPhone, this app is the answer. It is called a personal databank where you can safely hoard information such as numbers of your various cards, online passwords, and software license information in one storage bank. It also let users edit and delete desired groups. It is a great synchronisation device when you want to move around online and protect personal or professional data. In totality, before you start engaging in certain online activities using the iPad or iPhone, it is vital that you protect your personal aspect first. Despite countless benefits these gadgets offer, the threat is always there each time you access harmful websites. Hence, you need some of the applications listed above. Most are available with a one-time payment while others are offered with an annual fee. The point is that it wise to invest in these applications to secure and protect your online activities and avoid the risk of exposing your personal data which can lead to financial disaster and at the most, ruin your personal integrity. The world of business is very dynamic. Changes can happen that affect business either positively or negatively. In this current situation, technological developments have made the business environment more volatile. Companies and business owners, managers, executives, and CEOs are becoming more vulnerable to competition and the only thing that you can do is to adapt. 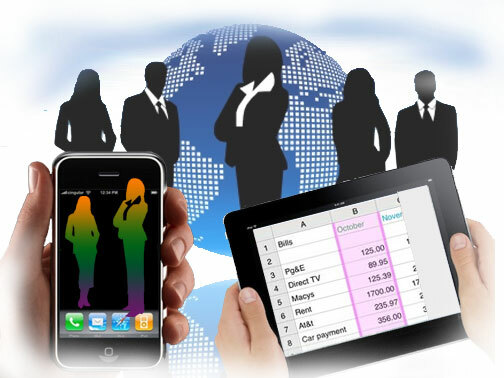 Thus, you see businessmen owning iPads and iPhones to connect to their clients, partners, and associates. However, not all of them are very familiar with iOS applications that will help their business. Here are some recommendations. In the olden days, you have business card folders or holders. Then people adapted the Palm Pilot. The card holder is still there but the Palm gadget went into extinction. Card Munch replaces the long gone technology with lesser complication. All you have to do is to take a picture of the business cards you received and upload it. Card Munch will process the cards. You can then add details to the contact section of your mobile gadget and start communicating with the business card owners though email. You can highlight text, draw objects on the slides and send these via email. It has a whiteboard function where you can compose your ideas. Get the latest exchange rate information on different denominations through your fingertips. No need to visit several websites and waste time looking, calculating, and analysing current monetary valuation. Stay connected with your clients at minimal cost. With this application, you can lessen travel expenses as you can communicate with your clients and customers in real time. Operational costs are very critical to business; thus, it needs constant monitoring and lookout to keep companies financially healthy. With this application, one can instantly add cash expense data to your gadget, automatically transfer credit card transactions, capture rewards and mileage credits, refund and reimburse figures, assign codes to accounts, projects, and other related fields. Numbers is one of the most helpful applications for both iPad and iPhone as it is designed to create spreadsheet apps using fingers. One can choose from several templates to create budget matrix, checklist, invoices, amortisation calculator, and a lot more. You can also add tables, texts, charts, and images in any of the cells on the spreadsheet. There are also interactive buttons to make your matrix more animated. It is an all document reader. It supports all popular file formats. It has the ability to be synchronised with other apps such as Dropbox, iCloud, and Box.net for example. It manages attachments and zip or rar files with ease. It can convert files to PDF. There is no need to set up a personal account to log in and utilise the features. With its very fast alert system, it is thrice more effective than other alert apps. Track the day’s activity or filter only those you want to attend. Rescheduling and reminding dates and appointments are relatively easy with its snoozing function which you can configure according to your preferences. It has one hundred instant articles which you can read to pickup ideas that are vital to your business. The essays can be accessed from your mobile iOS gadget. It has three budget plan templates which you can send to your computer and can use to avoid problems on how to create the cash and expense aspect of your business. Cost and profit planning won’t be a problem as you have three templates to choose from. Here is a situation, a customer wants to avail of special deals through credit cards and it so happens that you are not anywhere close, so what is the solution? Your sales staff can communicate directly with you about deals and special offers. Even when are away to places as far as Timbuktu, you can still accept the credit card transaction through your iOS gadget. While the application and other related peripherals are free, there is a fee involved for every swipe made. With these useful applications available at the tip of your fingers, running a business effectively whether remotely or offline is no longer a problem. Just be sure that you or staffs know how to make the most out of these apps.